Photo caption: a prototype of the tabletop aquaponics system being tested by Back to the Roots Ventures. ecosystem," teaching eaters and would-be gardeners about every step in a natural plant-animal growing cycle. 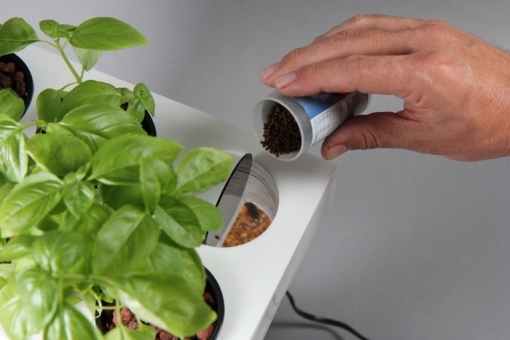 The mushroom kit, in contrast, provided users with a pre-treated growing medium and just a few shots at growing a healthy herd of mushrooms. of their first and relatively simple product? nothing, these guys always manage to stay hungry. lives in Washington, DC with his lovely wife and tiny dog.